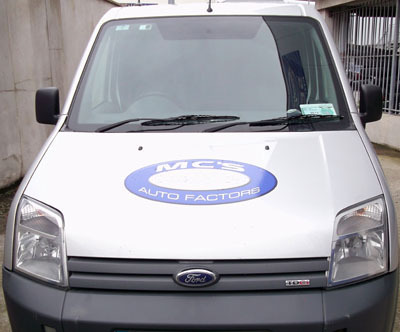 MC'S Ford Auto Factors is a Ford car and commercial specialist that carries a full range of genuine and OEM Ford parts in stock. We offer huge discounts and express delivery throughout Ireland. Just a quick email to say thanks lads for getting that part to me so quickly. It really dug me out of a hole. I'll definitely be back to you again in the future. Great service and value. Thanks. Have to admit that I wasn't sure that you'd get the valve to me in time so sorry for doubting you. Glad I decided to go with you. Thanks again. Yes I would be only too happy to recommend MCS. Excellent service. Thanks for all your help Robbie. I'll definitely be back to you when I need a part again. Hopefully that won't be for a while though.